That fateful moment when you hand in your job application might be the most stressful part of the whole job search. Nevertheless, it is possible to avoid unwanted situations or surprises by making sure everything has been thoroughly checked. This doesn’t include only your resume – it’s also true for researching the company, the location, and everything else that comes with applying to the opportunity. With these six simple tips, you won’t find sending job applications so stressful anymore. Just because you’ve been investing time into making your application worthwhile doesn’t mean that there aren’t any mistakes. Especially during the hectic hours of preparation, mistakes within your resume are entirely possible, and you should expect them. Make sure always to check and revise your application at least three times. First, mark your mistakes and then correct them. In case you are in the midst of a stressful period, and you’re not sure you can invest enough time to correct mistakes – seek help. A good idea, to be sure you’ve sent out a proper application, is to seek out inexpensive custom essay writing services. This way, you can convert your wishes into proper content. The first step is always to find a relevant job posting. After that, you have to do some research about the company itself. Applying for a job that turns out to be incompatible to your talents or interests is a waste of time. Therefore, you need to scour the website, the career page and the type of content they have. What are some red flags? Companies that have quotes from their own employees showering the brand with too much praise is one of them. Also, a lack of information should be a cause to worry. The best way to provide yourself with some information in advance is to get in contact with both a current and a former employee. This is a great way to show the company that you’re interested in joining their ranks. Many companies will have the name and email of the position's hiring manager listed online. What difference does this make? Well, contacting a hiring manager directly allows you to customize your cover letter and application so that you can be sure it lands in the right hands. Furthermore, hiring managers generally love when people show some resourcefulness. By contacting them directly, you will show that you were willing to go the extra mile to increase your chances of getting hired. That alone makes you a worthy candidate. Before taking the tour of the company or even sitting down for an interview, reach out to some current employees. You can email them or add them on LinkedIn. The key here is to reach out to multiple people in different positions. This is because you want as diverse an impression as possible. You wouldn’t want to work for a company where managers are enjoying themselves, while entry-level employees are being mistreated. Therefore, you will also be able to discern lies and promotional language from honest impressions. You should always do this, as it can save you from an unpleasant experience at a new workplace down the line. Throughout your college years and first work experiences, you must have developed contacts with people in the same industry or field. 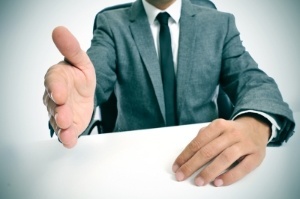 When applying for a job at a new company, don’t hesitate to ask those people for advice. They will either know whether the company is reputable or not or, if not, they may be able to refer you to someone else to speak to. Before venturing into an unknown area, it’s best to hear some impressions. By doing so, you will know what to expect and will seem much calmer and more collected during the actual interview. If you do all these things right, chances are – they will call you for an interview. HR managers and other officials generally don’t like passive candidates. Ask them questions and show assertiveness upon entering the room. Whether it’s financial matters, benefits or conditions – you should always ask. To avoid unpleasant situations and confusion – prepare a few questions that you deem important. Overdoing it, however, is a bad thing that can leave the impression of desperation. Be moderate, and you will do fine. The key parts of sending a job application are gathering intel about the company through multiple means, as well as making sure your resume is spotless. Use your connections in the industry, prepare thoroughly and you will increase the chances of getting your dream job. About the Author: Susan Saurel is a passionate writer from Texas. She is in love with traveling. Teacher of higher category, PM in an IT company, lovely mom. She wants to share her experience and knowledge with readers and she has something to say, for sure.